I hope this letter finds you well and feeling the joy of the season. I have spent many hours considering what I would like for Christmas this year. 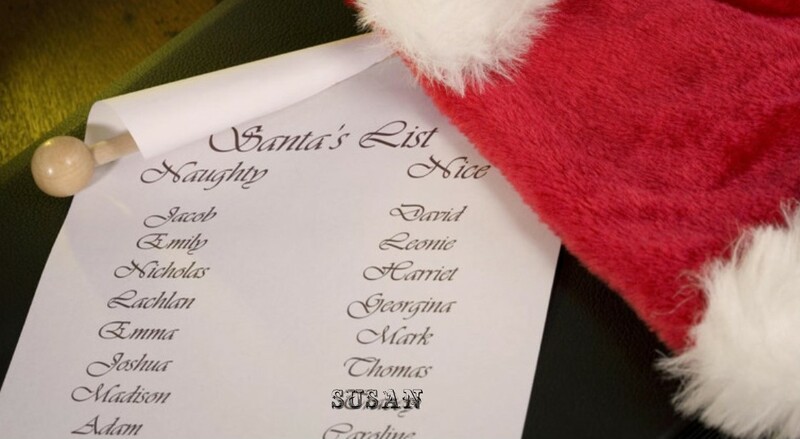 I do believe you will find my name on the nice list so I thought I would save you some time when it came to my gift. I want life experiences for my gift this year. I want to sit in a room with my family and laugh until we cry because the joke is something only we would understand. I want my brother and I to share a toast to my parents and take a moment to remember my dad waking us up at 6:00 am by cranking the Beach Boys vinyl album and my mom inevitably leaving a price tag on at least one of our gifts and then finding the last gift sometime in April because she had hidden it so well. I want to really watch my nephews this year as they tear open their mountain of presents. It seems like only yesterday they had no real concept of what was happening and now I’m going to blink and they will both be off to University and, soon after that, having Christmases of their own. I want to embrace the friends I have and let them know how lucky I feel to be able to call them friends. I want them to know how much they mean to me and how close I hold that friendship to my heart. I want to take a quiet moment or two during the holidays and reflect on all of the wonderful things that happened to me throughout the course of the year. And I want the words “I love you” to be a comfortable phrase that gets shared a lot, and not just during the holidays. I know you are a busy man this time of year so I shall leave it at that. I will be waving at you on Christmas Eve as we stand at the end of my brother’s driveway and watch you go by on the Fire Truck as I have every year since I was seven years old. I love your vision of Christmas, especially the Beach Boys part. So something I would do.